Presión y Fuerza, S.L. is going to present a stand of 16sqm2 (Stand 5F02) its latest product line, specialized in the design, manufacture, marketing and maintenance of access control, traffic regulation, protection and security, specifically its range of automatic, semiautomatic, removable and fixed bollards in different sizes and qualities. Presión y Fuerza, S.L. has decided to visit the exhibition Ferroforma with all national and international developments on industrial supplies, power tools, hand tools and small machinery. Presión y Fuerza, S.L. 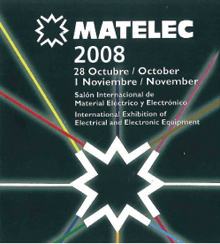 has visited the Exhibition MATELEC, one of the largest industrial halls of Madrid, a professional event which brings together leading industry professionals, both nationally and internationally, to showcase the latest developments and trends. 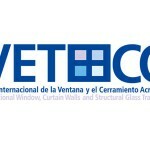 Exhibition VETECO – International Exhibition of Windows. Presión y Fuerza, S.L. has visited VETECO, one Exhibition that offer the platform of an industry representative in Spain, noted for its high level of competition, through which ranked third in Europe in this segment. A comprehensive proposal that has collected the products from windows (in terms of how aluminum, wood, PVC and steel); ceilings and skylights, structural glazing, facades light, glass, machinery (including aluminum, wood, PVC and steel ), accessories and hardware, automation, coatings, sunscreen, shades and awnings, commercial doors, industrial and garage, silicones, sealants and gaskets, and Informatics. 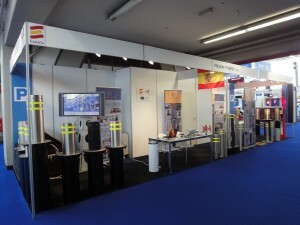 INTERTRAFFIC AMSTERDAM EXHIBITION– International Trade Fair for Infrastructure, Traffic Management, Safety and Parking. At the 20th edition of INTERTRAFFIC AMSTERDAM 2010 over 800 exhibitors from more than 40 countries – with virtually the entire top 50 global concerns in attendance – showed a comprehensive overview of the latest industry trends and developments. 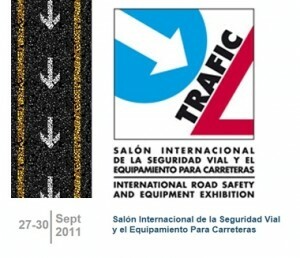 INTERTRAFFIC 2010 offered an even wider range of categories so as to ensure the most convenient segmentation possible for visitors. In addition to our regular segments of infrastructure, ITS traffic management, safety and parking, we had two new sections, Environment and Cooperative Systems. Presión y Fuerza, S.L. presented in a stand of 31,5sqm2 (Stand 01.131) its latest product line, specialized in the design, manufacture, marketing and maintenance of access control, traffic regulation, protection and security, specifically its range of automatic, semiautomatic, removable and fixed bollards in different sizes and qualities. The Exhibition has proved a success as most of his assistants have showed interest in these systems. International Security Exhibition SICUR where exhibitors are mainly distributors of products, equipment, services, components and accessories for security, as well as institutions and agencies in the world of comprehensive security. 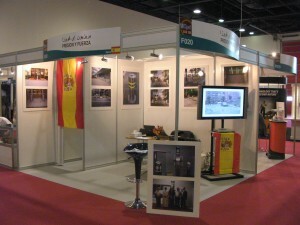 Presión y Fuerza, S.L., given his busy schedule of exhibitions, has decided to visit the fair to see the latest news. Milipol Qatar 2008 was the 7th edition of the show about state security, police equipment, security and civil defence, a privileged place in the center of the market development and responds to the continuing need for decision makers of the various forces and industries. Presión y Fuerza, S.L. presented in a stand of 12sqm2 (Nº F020) where he received a large number of visitors with a huge interest in these systems. SAIE – Sign of the Big Architecture: professional designers and architects are its protagonists. SAIE, always shows his great ambition incubator projects, technologies, materials and innovations for the construction sector, a role that accredits internationally as the exhibition to see, touch and experience all that is innovative in the market. SAIE underlines the strategic importance of the exhibition for the development of business opportunities internationally. Presión y Fuerza, S.L. has not exhibited directly its products, but he has sent some equipment to his distributor for the Exhibition. The 14th Edition of TEM TECMA 08, Feria Internacional del Urbanismo y del Medio Ambiente, has welcomed the latest developments in the sector, the IFEMA fairground. This contest has once again bring together industry and Environmental Planning, structured around the areas of urban infrastructure, road development, parks and gardens, sports facilities and leisure activities, urban services, equipment and applications for the removal of barriers architectural, rehabilitation, maintenance and decoration, water treatment, solid waste, other pollution, protection and restoration of natural environments and institutions, associations and services. 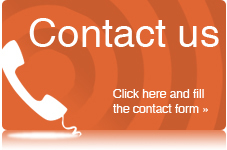 The event has been confirmed as one of the most qualified to present the latest developments in the sector.